Talking about apps for your phone…this one is amazing from MIT Media Labs. Attach a $1-2 eyepiece (the "NETRA") to your phone and get your eye prescription in less than 2 minutes. I wonder if they will come out with more apps for health and wellbeing that check your vital signs such as temperature, pulse, blood pressure, respiratory rate, and more. I can envision the smartphone becoming our personal health assistant for monitoring and alerting us to dangerous medical conditions. This will increase our ability to get timely medical care and save lives. This is a long way from "I've fallen and I can't get up," and that's a great thing. What's Next an Escalator to Heaven? Introducing the Levytator—or escalator replacement. It is a creation of Jack Levy, Emeritus Professor of Mechanical Engineering at University of London. Rather than just go straight up and down, this baby can go any which way—and even around curves. Potentially a new mode of inner city transportation? Take the Levytator to the gym and spend another half an hour on the treadmill! David Siegel has written a book called “Pull: The Power of the Semantic Web To Transform Your Business” (Dec. 2009). The main idea is that businesses (suppliers) need to adapt to a new world, where rather than them “push” whatever data they want to us when they want, we (consumers) will be able to get to the information we want and “pull” it whenever we need it (i.e. on demand). Public Web—what “we normally see when searching and browsing for information online: at least 21 billion pages indexed by search engines. In the future, Siegel sees an end of push (i.e. viewing just the Public Web) and instead a new world of pull (i.e. access to the Deep Web). Data is unambiguous (i.e. means exactly the same things to anyone or any system). Data is interconnected (i.e. it lives online in a web of databases, rather than in incompatible silos buried and inaccessible). Data has an authoritative source (i.e. each piece of information has a unique name, single source, and specified terms of distribution). It’s not a tug of war between push and pull—they are not mutually exclusive. Providers push information out (i.e. make information available), and at the same time, consumers pull information in (access it on-demand). It’s not just about data anymore—it’s also about the applications (“apps”). Like data, apps are pushed out by suppliers and are pulled down by consumers. The apps make the data friendly and usable to the consumer. Rather than providing raw data or information overload, apps can help ready the data for end-user consumption. All semantics aside, getting to information on the web is important—through a combination of push and pull—but ultimately, making the information more helpful to people through countless of innovative applications is the next phase of the how the web is evolving. I would call this next phase, the “user-centric web.” It relies on a sound semantic web—where data is unambiguous, interconnected, and authoritative—but also takes it to the next level, serving up sound semantic information to the end-user through a myriad of applications that make the information available in ever changing and intelligent ways. This is more user-centric, and ultimately closer to where we want to be. The chart in this post from the Mirror in the U.K. shows the movement of the Doomsday Clock over the last 60 plus years. Currently in 2010 (not shown in the chart), we stand at 6 minutes to midnight (midnight being a euphemism for the end of the world or Armageddon). Since 1947, The Bulletin of Atomic Scientists has hypothesized and visualized with the dials on the clock how close they believe mankind is to self-extinction. 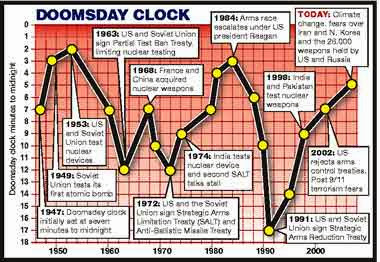 The closest we’ve gotten is 2 minutes to midnight in 1953 after the U.S. and Russia test the first nuclear devices. The furthest we’ve gotten from midnight is 17 minutes in 1991, when the Cold War was over, the Strategic Arms Reduction Treaty (START) was signed, and the U.S. and Russia took their fingers off the hair-trigger alert on their nuclear arsenals pointed at each other. While some may take the Doomsday Clock as a morbid or pessimistic reminder of our human frailties, missteps, and movement toward potential calamity, I see it as a tool that attempts to keep us—as humankind—from going over the edge. This is very architecture-like, to me. We look at where we are and (implicitly here) set targets for ourselves to move the hands backward away from Armageddon. The architecture piece that we need to concentrate on is a crystal clear plan to get those hands on the clock way back to where we can feel more secure in our future and that of our children and grandchildren. I definitely like the idea of a plan of action—we need that. We need to plan for life, continuity, and a flourishing society that goes beyond the limits of sustainability of our situation today. We are aware of the world’s growing population (aka the population explosion), the scarcity of vital resources like water, energy, arable land, etc. and the potential for conflict that arises from this. We need to plan for the “what ifs” even when they are uncomfortable. That is part of responsible leadership and a true world architecture. That is a big, but meaningful job indeed. I really like Tony Robbins and especially his show on NBC "Breakthrough." Tony Robbins is incredibly motivational, inspirational, and has a vision for a better future for individuals and society. "See things as they are, but not worse than they are" -- People make things worse than they are, so they don't have to try ("it takes no guts to be a pessimist"). "See it better than it is; see a compelling future" -- "Today can be tough, but if the future is compelling, we can get there." "Make it the way we see it" - This last one, in my opinion, is why we're here in life: to improve things, to add value, to leave things better than when you found them. We all can have a positive impact in this world, in our work, in our relationships. All we need to do is find our true selves, do something we truly believe in, and commit to it--no excuses, lots of hard work and of course have fun with it! There is a lot of interest these days in managed print solutions (MPS)—sharing printers and managing these centrally—for many reasons. Some of the benefits are: higher printer use rates; reduction in printing; cost saving; and various environmental benefits. - What’s the business model? Why are “printing companies” telling us to buy less printers and to print less? Do car companies tell us to buy less cars and drive less (maybe drive more fuel efficient vehicles, but drive less or buy less?) or do food companies advise us to buy less food or eat less (maybe eat healthier food, but less food)? To some vendors, the business model is simple, if we use their printers and cartridges—rather than a competitor’s—then even if we use less overall, the managed print vendor is getting more business, so for them, the business model makes sense. - What's the cost model? Analysts claim agencies by moving to managed print solutions “could save at least 25 percent of their printing expenses” and vendors claim hundreds of thousands, if not millions in savings, and that is attractive. However, the cost of commodity printers, even the multifunction ones with fax/copy/scan functions, has come way down, and so has the print cartridges—although they are still too high priced—and we change them not all that often (I just changed one and I can barely remember the last time that I did). As an offset to cost savings, do we need to consider the potential impact to productivity and effectiveness as well as morale—even if the latter is just the “annoyance factor”? - What’s the consumer market doing? When we look at the consumer market, which has in many analyst and consumer opinions jumped ahead of where we are technologically in the office environment, most people have a printer sitting right next to them in their home office—don’t you? I’d venture to say that many people even have separate printers for other family members with their own computers set ups, because cost and convenience (functional)-wise, it just makes sense. - What’s the cultural/technological trend? Culturally and technologically, we are in the “information age,” most people in this country are “information workers,” and we are a fast-paced (and what’s becoming a faster and faster-paced) society where things like turn around time and convenience (e.g. “Just In Time inventory, overnight delivery, microwave dinners, etc.) are really important. Moreover, I ask myself is Generation Y, that is texting and Tweeting and Facebooking—here, there, and everywhere—going to be moving toward giving up there printers or in fact, wanting to print from wherever they are (using the cloud or other services) and get to their documents and information immediately? - What’s the environmental impact? There are lots of statistics about the carbon footprint from printing—and most I believe is from the paper, not the printers. So perhaps we can print smarter, not only with reducing printers, but also with ongoing education and sensitivity to our environment and the needs of future generations. It goes without saying, that we can and should cut down (significantly) on what and how much we print (and drive, and generally consume, etc.) in a resource constrained environment—planet Earth. In the end, there are a lot of considerations in moving to managed print solutions and certainly, there is a valid and compelling case to moving to MPS, especially in terms of the potential cost-saving to the organization (and this is particularly important in tough economic environments, like now), but we should also weight others considerations, such as productivity offsets, cultural and technological trends, and overall security and environmental impacts, and come up with what’s best for our organizations. Well check out these new airline seats called Skyriders, marketed by Italian company Aviointeriors. The catch is that the Skyrider seats are only 23 inches narrow and passengers are expected to be in this crazy, half-sitting, half-standing "ergonomic" position for up to 2 hour flights. The company's advice to larger size people: "You have to lose some weight!" This certainly doesn't seem like a very customer-centric attitude, nor a very practical way to fly, no matter how much their spokesperson tries to "sell us the Brooklyn Bridge" on this one. GONG! Back to the drawing board on this "innovation." The Wall Street Journal recently reviewed (Sept. 10, 2010) “The Man Who Lied to His Laptop,” by Clifford Nass. - Sexualizing your computer: People sexualize computer voices lauding a male sounding tutor voice as better at teaching ‘technical subjects,’ and a female sounding voice as better at teaching ‘love and relationship’ material. It seems to me that attributing human attributes (feelings, sexuality, and camaraderie) to an inanimate object like a computer is a social ill that we should all be concerned about. Sure, we all spend a lot of time going back and forth between our physical realities, virtual realities, and now augmented realities, but in the process we seem to be losing perspective of what is real and what is not. - Doing their work at arms length from computers rather than seriously working together with other people to solve large and complex problems facing us all. - Interacting virtually on social networks rather than with friends in real life, and similarly gaming online rather than meeting at the ballpark for some swings at the bat. - Blogging and tweeting their thoughts and feelings on their keyboards and screens, rather than with loved ones who care and really want to share. We have taken shelter behind our computers and to some extent are in love with our computers—both of these are hugely problematic. Computers are tools and not hideaways or surrogate lovers! Of course, the risk of treating computers as people is that we in turn treat people as inanimate computers—or maybe we already have? This is a dangerous game of mistaken reality we are playing. 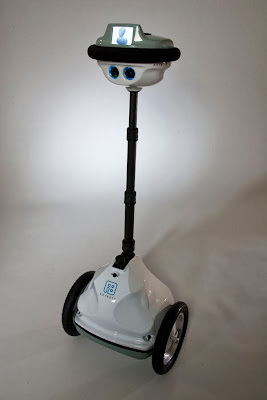 This is too much…an article and picture in MIT Technology Review (September/October 2010) of a robotic boss, called Anybot—but this boss looks like a vacuum cleaner, costs $15,000, and is controlled remotely from a keyboard by your manager. So much for the personal touch—does this count toward getting some face time with your superiors in the office? With a robotic boss rolling up to check on employees, I guess we can forget about the chit-chat, going out for a Starbucks together, or seriously working through the issues. Unless of course, you can see yourself looking into the “eyes” of the vacuum cleaner and getting some meaningful dialogue going. This is an example of technology divorced from the human reality and going in absolutely the wrong direction! A Federal Enterprise Architecture Board (FEAB) would provide “teeth” to further implementing enterprise architecture across government. We have a Federal Enterprise Architecture (FEA) that provides a government wide framework for architecture strategy and planning, but we do not have a FEA Board to govern the subsequent IT investments through capital planning and investment control (CPIC). CPIC is the governance process whereby we select, control, and evaluate new IT investments. Interestingly, The Federal CIO Council’s Architecture Alignment and Assessment Guide (October 2000) specifically calls for complementary EA and CPIC functions (see graphics). In this paradigm, the enterprise architecture (EA) informs, guides, drives the CPIC, and in turn the decisions from the CPIC governance process updates the EA planning, so that the EA and CPIC processes are seen as mutually supportive. In the federal government, we have departmental and agency architectures and boards that serve to plan and govern IT investments at their respective levels. However, as we seek to build greater standardization, interoperability, and reuse across government with IT initiatives that cut across traditional government boundaries driven and guided by the Federal CIO and Federal CIO Council, there is a need for a FEAB to review new and major changes to IT investments. There would be many purposes for the FEAB. Strategic alignment: One would be to ensure strategic alignment not to any single department or agency mission, but rather to the greater federal government strategy and policy. Some examples of this would be data center consolidation, green IT, open government, and more. Streamlining of investments: Additionally, the FEAB would assess IT investments to ensure that there is no overlap or opportunities for consolidation of initiatives. OMB performs some of this function today, but a FEAB would augment their capability with IT subject matter experts from across the government. Other key benefits: Of course, the FEAB would also look at things like return on investment measures, risk mitigation plans, technical compliance to federal architecture standards and mandates (security, privacy, records, FOIA, Section 508, etc.). The FEAB would not be a substitute for the EA Boards that provide oversight functions at the department and agency levels, but would provide governance for the largest and riskiest IT initiatives and those that cut across different agencies. Of course, with a portfolio of some 10,000 IT systems, the FEAB would not be able to govern every new Federal IT investment. Therefore, it would be critical to establish thresholds that would be practical for implementation. I would envision the FEAB being chaired by the Federal Architect and the board being a recommendation body to the Federal CIO Council and the Office of Management and Budget, Executive Office of the President. Critical initiatives by Federal CIO Vivek Kundra to effectively manage (i.e. CPIC control phase) IT investments through the Federal IT Dashboard and TechStat sessions would be augmented by the FEAB work to carefully recommend for selection (i.e. CPIC select phase) new federal IT investments. Together, I see the federal select and control mechanisms of CPIC functioning in harmony to enhance governments IT planning, investment decision-making, and execution. 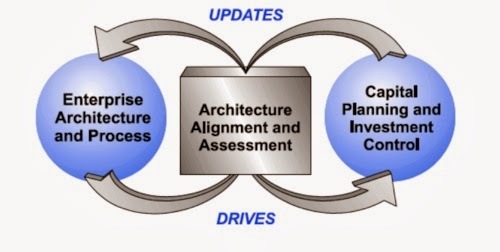 Essentially, the FEA (architecture) and FEAB (governance) on the “front-end” will guide new IT investments, and the IT Dashboard and TechStat sessions on the “back-end” will ensure IT investments are properly progressing for the taxpayer based on cost, schedule, and performance measures. 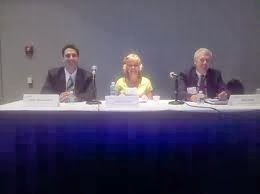 In summary, the Federal Enterprise Architecture Board would be the governance arm of the Federal Enterprise Architecture, and serve as a support to the IT leadership of the Federal CIO, the Federal CIO Council, and the IT budgetary functions performed by the Office of Management and Budget. Good afternoon. I'm Andy Blumenthal, the Chief Technology Officer at the Bureau of Alcohol, Tobacco, Firearms and Explosives (ATF). It's a great honor for me to be here with you today to talk about telework and how EA is shaping it's adoption. Just coming out of the blazing hot summer, the blizzard this past February seems like ages ago. Yet this storm brought the federal workforce in D.C. to a halt for 6 days, costing more than $100 million in lost productivity per day. This was offset only by the 1/3 of the federal workforce which was teleworking. I still remember Snowmaggedon because that was when we shoveled out the wrong car because the snow was so high we couldn't see which was ours. Data from the Telework Research Network indicate that telework could save agencies and participants as much as $11 billion annually (on such things as real estate, electricity, absenteeism, and employee turnover) and that if eligible employees telecommuted just one day every other week, agencies would increase productivity by more than $2.3 billion per year (driven by employee wellness, quality of life, and morale). According to OPM telework adoption is growing. As of 2008, telework increased 9% over the previous year and now slightly more than 5% of the federal workforce are teleworking. Telework got a boost when the House and the Senate passed similar bills--in May and July respectively--to expand telework opportunities. The two chambers now must reconcile their versions before a final bill heads to President Obama for approval. The Telework Enhancement Act would make employees presumptively eligible and require that agencies establish telework policies, designate a telework managing officer, and incorporate telework into agency's continuity of operations plans. Five years ago nobody would've thought that EA would inform the discussion on telework. EA was still primarily a compliance only mechanism and didn't have a real seat at the decision table. Now thanks to the efforts of all of you, it's strategic benefit is recognized, and EA is playing a vital role in planning and governing strategic IT decisions such as in investing and implementing telework solutions for our agencies. Our distinguished panelists here today will discuss how EA is informing the discussion of telework from both the policy, systems, and security perspectives. Does this mean I am among a minority of the population that is shy, anti-social, “snooty,” or worse? Many people have misperceptions like these, which is why Psychology Today’s current issue has a feature story on the realities vs. the myths of introverts. Actually half of the people you meet on any given day are introverts. - I like to develop meaningful relationships through all types of outreach, but especially when interacting one-on-one with people. As opposed to meaningless cocktail party chatter – “Hello, How are you today?” “Fine. And how are you?” “Fine.” Help, get me out of here! So while it may be more fun to be an extrovert—“the life of the party”—and “the party’s going on all the time”—I like being an introvert and spending enough time thinking to make the doing in my life that much more meaningful and rewarding.